Marketing vs Prospecting in Network Marketing… what is it anyway? They are completely different! Since you hear the terms marketing and prospecting as common buzz words in the Network Marketing and Home Business niche, it is understandable why so many folks think they are the same thing. Let's do a quick breakdown of the basic differences on Marketing vs Prospecting. Marketing is putting out valuable content in a video, blog post, Facebook status update, tweet, Instagram post, etc. where the content helps solve a problem of your target audience. The goal in marketing is for an un-named individual to respond to your post… whether it is to get more info, join your business, or buy your product. Prospecting or prospecting leads is where you go out and intentionally talk to a specific individual. This is what most Network Marketing companies teach. To go out and talk to anyone within 3 feet of you! Both Marketing and Prospecting work… it all depends on what you are looking to accomplish anad how you want to accomplish it. In the video below, I talk more specifics on Marketing vs Prospecting and break these two methods of building your Network Marketing business down so that you can determine which way (if not both) that you you would like to put your business team together. I spent the majority of my Network Marketing career prospecting leads offline. For 14 yers as a matter of fact! I wanted a better way to reach more prospects and leverage my time, so I started to dive into lead generation and lead generation marketing. In this lead generation system, I not only learned the difference between Marketing vs Prospecting, but I also gained access to the necessary prospecting tools to be effective with online lead generation and online marketing. If you would like access to the same system that I am using, and would like my help in generating leads online for your Home Business, click Right Here. 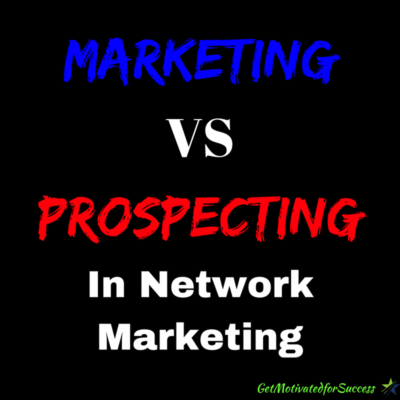 Did you find value in this post on Marketing vs Prospecting In Network Marketing? If you did, feel free to comment below and share! P.S. Here is a FREE training on 10 prospecting tips that I learned to NEVER run out of people to talk to about my business. Check it out (unless you already have too many people to talk to)! MLM Business Tips- Do You Lead With Your Product Or Opportunity? This is a question that I am asked on a regular basis, especially by newbies who are new to the game of Network Marketing or MLM. When you are building a Network Marketing business that has a great product(s) that you believe in, it can be a bit confusing as to whether you should talk to prospects about the product(s) that you love, or the actual business opportunity to make money. 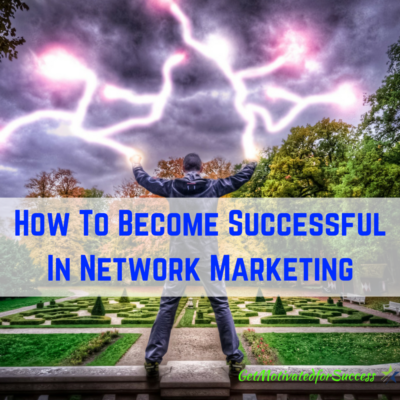 There are a ton of Network Marketing success secrets and Network Marketing tips for beginners out there, but one of the most important Network Marketing success tips that you should know is whether or not you lead with your product or opportunity. The fact of the matter is, you can lead with either one! There are pros and cons to both situations which I address in the video here on this post. However, I provide you a couple of critical MLM buisness tips on how to decide which method you choose to lead with when speaking with your prospects. Watch the video below on MLM Business Tips- Do You Lead With Your Product Or Opportunity? You will learn exactly when to lead with your product or opportunity! 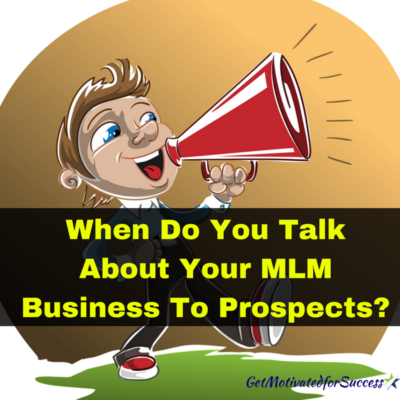 When Do You Talk About Your MLM Business To Prospects? 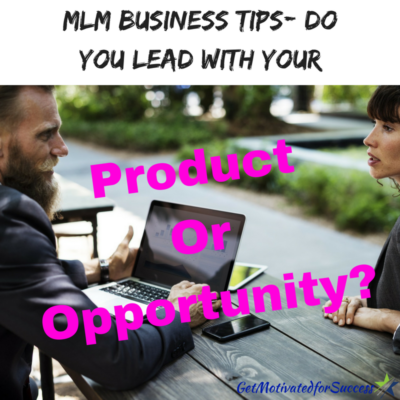 If you found value in this post, MLM Business Tips- Do You Lead With Your Product Or Opportunity?, feel free to comment below and share! P.S. If you haven't sponsored at least 7-10 new reps into your business over the last 60 days, fill in your information below and learn how! When do you talk about your MLM business while you are talking to a prospect? That is a question that I get on a weekly basis! It can be hard to know when to make your move and pitch or talk about your MLM business when prospecting, so that it doesn't create a weird vibe between you and your prosects. Every situation is different in terms of the time that you should bring up and talk about your MLM business. Sometimes you can do it right when you meet you prospect and build rapport. Other times you can wait and talk to them about it later if the timing isn't just right. In the video below, I go into detail on When To Talk About Your MLM Business To Prospects when you are prospecting and trying to expand your MLM or Network Marketing business. 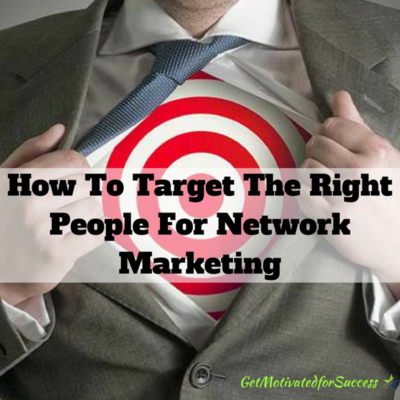 For more tips on How To Approach Strangers Network Marketing and The Best Places To Prospect For Network Marketing, check out these other posts! If you got value from this post on When Do You Talk About Your MLM Business To Prospects?, feel free to comment below and share! P.S. Learn my 19 Lead Sources For Your Business HERE where you can find out how to never run out of leads for your business! Cold market prospecting can be very awkward, even for the grizzled veteran in Network Marketing. Let's face it, walking up to a complete stranger and starting a conversation is not something the average person likes to do. Yet, in any Network Marketing business, cold market prospecting is essential if you want to grow a large and profitable business! Even though cold market prospecting is vital to the success of your Home Business, cold market prospecting techniques are rarely taught by upline leaders durig any network marketing training. They simply say, “go out and meet people.” In theory, that makes all the sense in the world… go out and meet people. But for most Network Marketers, this is one of the biggest fears that they will ever have to overcome in building their Network Marketing business. I have found that there are two main fears that most business owners have when cold market prospecting. The first is that they don't know how to start up a conversation with someone. Fear of being rejected or looked at with a side eye causes them to freeze and never approach the prospect. You can check out my ebook: 99 Ice Breaking Questions To Get The Conversation Started to help you with how to start up a conversation with prospects. The second fear they have is how to transition the conversation (when they do start one) over to business to find out if the prospect is open to making money. These two fears can cause a lot of anxiety and doubt with the business owner, making it nearly impossible to do any cold market prospecting. Have you suffered from the anxiety and doubt when it comes to cold market prospecting? In the video below, I offer you some cold marketing tips that will quickly and efficiently help you to get over the two most common fears when it comes to cold market prospecting, and make it less awkward! Watch the video now! Use these methods to easily up your cold market prospecting game! It does take some practice, so keep on using the methods, and soon you will be a cold market prospecting machine! P.S. For more Network Marketing tips and tips for lead generation, watch the 12 minute video that will show you how to have hot, targeted prospects reach out to you in order to find out more about your opportunity, product or service! If you got value from this post, An Easy Way To Make Cold Market Prospecting Less Awkward, feel free to comment below and share! Business opportunity leads are the lifeblood of your Home Business. Without generating leads, whether it be cold market prospecting, or generating business opportunity leads online, your business will not grow. Afterall, you need to have interested prospects who are looking to make money from a Home Business, right? Many Home Business owners struggle on how to generate business opportunity leads for their online business. They simply have not been taught the process of how to produce valuable content that their target market wants, share it, and have those people “raise their hand” asking for more information about their business opportunity. Even more disappointing, is the fact that many Home Business owners have resorted to buying business opportunity leads for their online business opportunities thinking that the prospects that they talk to are actually interested in their business. The fact is, most of these ‘Home Based business leads' are old, and have already been approached by countless numbers of other Home Business owners that pitch their deal. Therefore, buying leads is not the best method to grow your Home Business. What if I cold show you a FREE way to generate leads for your business where the people who reach out to you are actually INTERESTED in what it is that you have to offer? In the video below, I share with you how to generate free business opportunity leads using 6 types of videos that you can do right from the comfort of your own home! 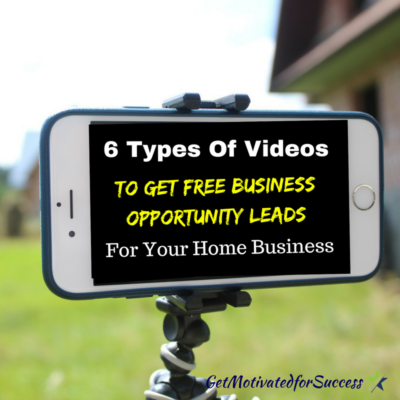 If you use these 6 different types of videos, you will be able to generate hundreds of Free Buisness Opportunity Leads that you can follow up with and see if your opportunity is a fit! 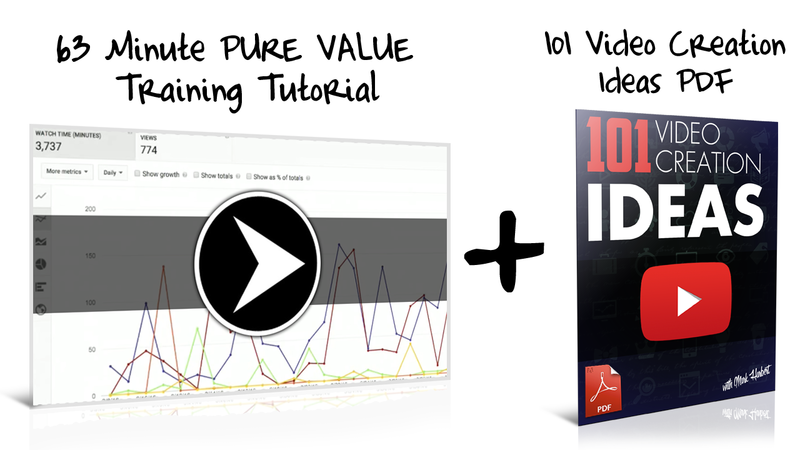 For more training on how to generate leads using video, and to get your FREE PDF download for 101 video creation ideas, simply fill in your information below! It is important to ask the right Network Marketing recruiting questions before sharing your Network Marketing or MLM business opportunity. Asking the right questions to your business opportunity leads will help you to uncover your prospect's pain points so that you know exactly what they want and why they want it! If you fail to ask the important Network Marketing recruiting questions before you share your business opportunity, you will not be able to cater your presentation to the needs, wants, or desires of your prospect. In other words, you want to tailor your presentation so that you can clearly demonstrate how your MLM or Network Marketing opportunity will help to SOLVE the pain(s) that your prospect is feeling. In the video below, I share with you some Network Marketing tips, and demonstrate the 7 questions to ask network marketing prospects that will uncover their pain. If you take the time to get into the minds of your prospects first, before sharing your opportunity, you will be able to speak your prospect's language. This will allow you to better relate to them, and build the rapport necessary to sponsor them into your business! 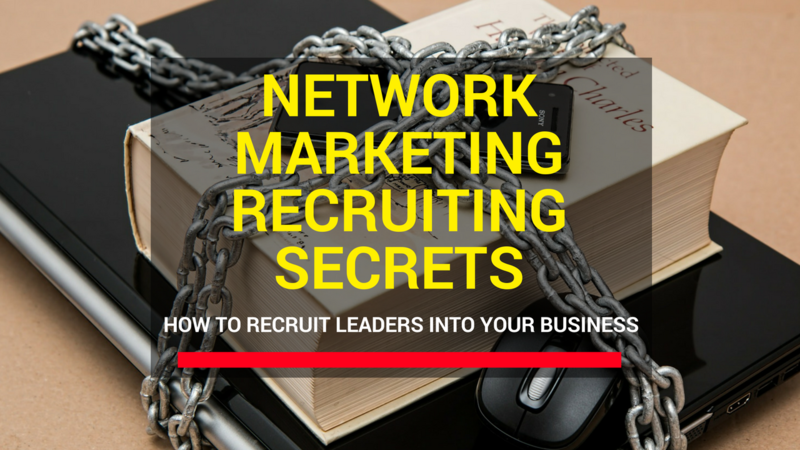 Try using these 7 Network Marketing recruiting questions, and let me know how they work for you! P.S. If you need help with your lead generation marketing, enter your information and watch this video NOW! 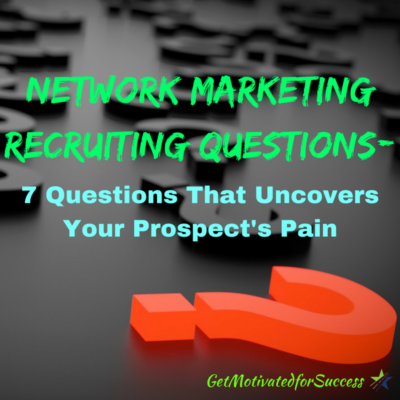 If you got value from this post Network Marketing Recruiting Questions- 7 Questions That Uncovers Your Prospect's Pain, feel free to comment and share! Cold market prospecting for your Network Marketing or MLM business can be terrifying for some people, but it is a necessary action if you want to be successful and have a large Home Business. Cold market prospecting is not a typical thing that most people do on a day to day basis; walk up to a stranger and start a conversation and offering a business opportunity. It just isn't the most natural thing to do. That is why most Network Marketers struggle once they have ran through their close friends and family, they simply don't or are fearful of going out into the cold market and taking the action of cold market prospecting. 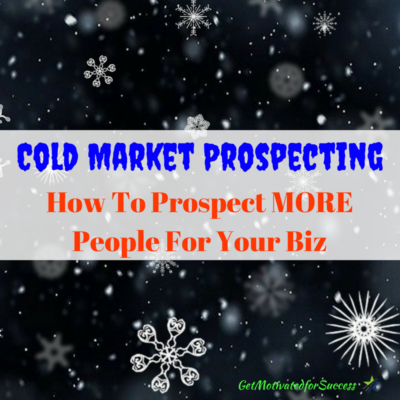 What I want you to understand in this post is that cold market prospecting is a mindset! Yes, their are techniques to cold market prospecting, but most of all, it all comes down to having the proper mindset! In the video below, I share with you some cold marketing tips and this mindset that you should take on to be effective in cold market prospecting for your business. Grab a pen and paper to take down these effective Network Marketing tips that will help you to become a prospecting machine if you take on this mindset that I shared with you! If you would like some more training and techniques on lead generation, fill in your information below and learn the 7 secrets that I have learned to have an effective strategy to generating leads and using cold market prospecting to build my business. P.S. Have you seen this RED HOT training on 10 prospecting tips to get 50 leads per day? Click HERE to watch it!